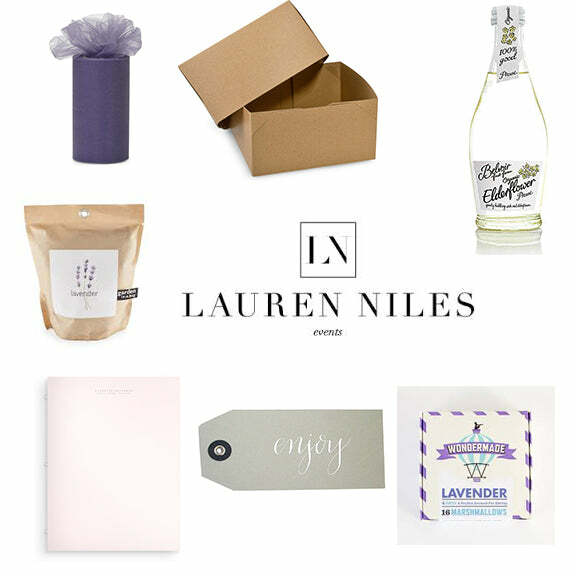 I must say, I'm super honored to be working with Lauren Niles of Lauren Niles Events on gifts for her wedding planning clients! I love everything about her aesthetic, so when she approached me about designing her client welcome gifts, needless to say, I couldn't wait to get started! Inspired by her recent rebrand, I used a color palette of soft neutrals along with muted shades of purple and pink. And speaking of her rebrand, have you checked it out yet? Oh my goodness, it's a must-see! The result is a sweet, feminine and thoughtful gift, perfect for the bride-to-be to receive just after signing on with Lauren and her team! 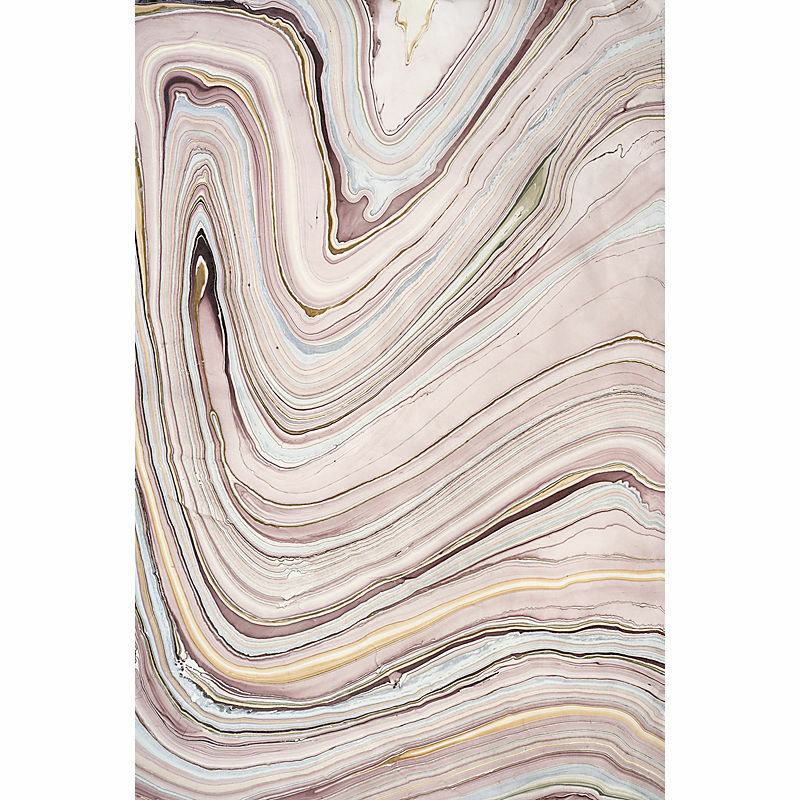 My favorite element is the blush Russell + Hazel notebook, ideal for keeping wedding planning notes all in one place. The sturdy kraft box will be filled with high-end wood excelsior and covered with a soft tissue paper once the contents are packaged inside. Amethyst tulle will wrap the lid of the box and it will be finished off with a gorgeous warm grey calligraphy tag. Thanks for the opportunity, Lauren. Can't wait to hear all about your sweet brides' reactions when they begin receiving their gifts! If you're interesting in designing custom gifts for your clients, hop over here to learn more!